Straight out of my collection of supercabs! 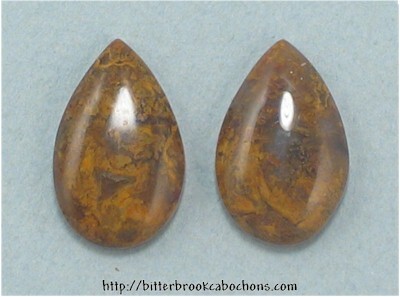 Here's a pair of dark Moss Agate teardrops, perfect for earrings! 15mm x 9.5mm x 3mm. Weight: 7.00 carats.